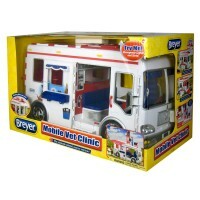 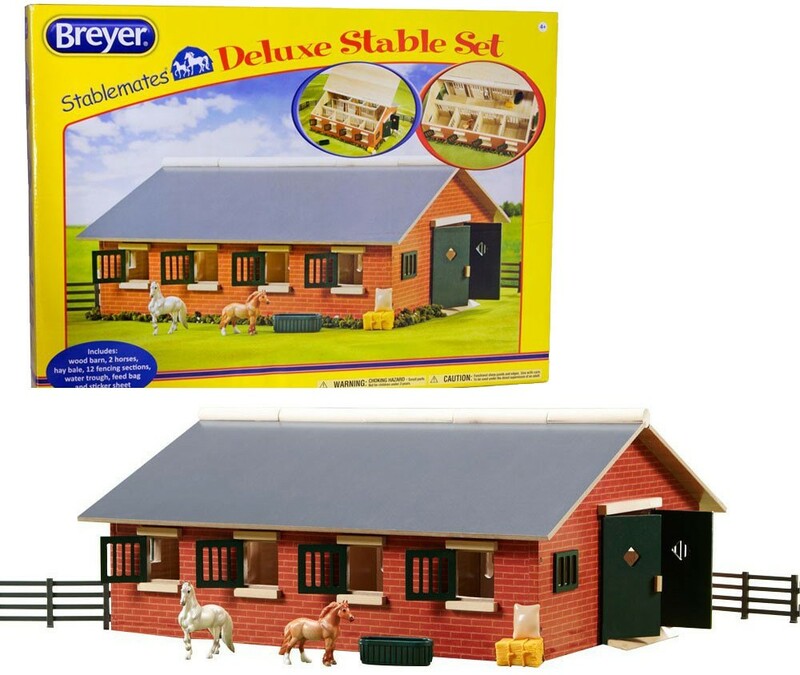 Loaded with the equipment and accessories needed for a busy riding stable, this Breyer Deluxe Stable Set offers enormous fun for the young horse lovers. 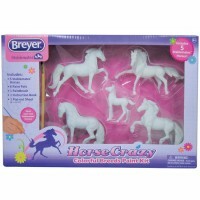 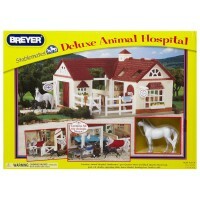 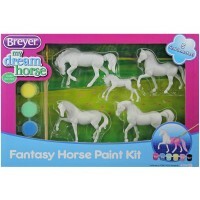 Your own horse farm will look just like the real one with this new deluxe stable set from Breyer. 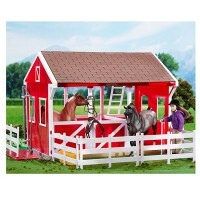 Deluxe Wooden Stable with 2 Stablemates Horses Playset is amazingly designed and superbly made for young horse lovers. 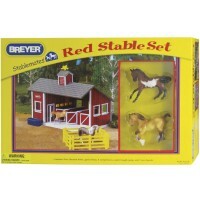 This ultimate horse stable set is made for Breyer's 1:32 scale Stablemates horses. 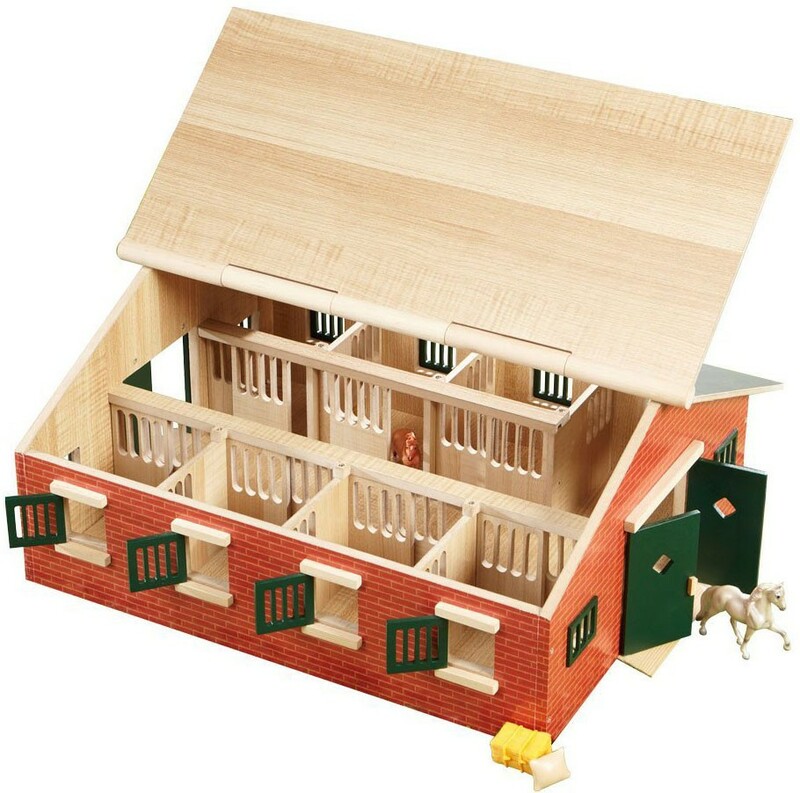 This super cool toy stable features 7-stall horse barn with a special tack room, opening and windows, sliding gates to each stable compartment, and tons of themed accents. 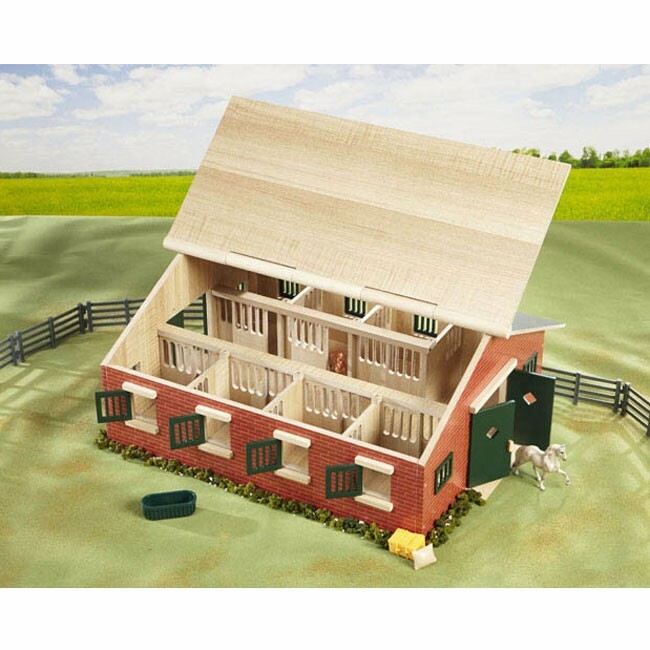 Made of natural wood, the deluxe horse barn features the roof that lifts back for easy access to the stable rooms and horse care. 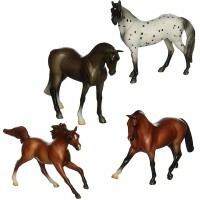 The Deluxe Wooden Stable with 2 Stablemates Horses Playset comes not only with the realistic red stable, but with different stable accessories and equipment, and 2 horse figurines: a grey Peruvian Paso Fino, and a red roan pony. 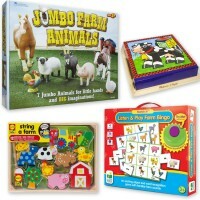 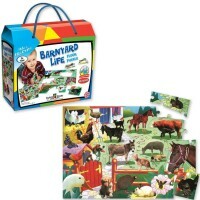 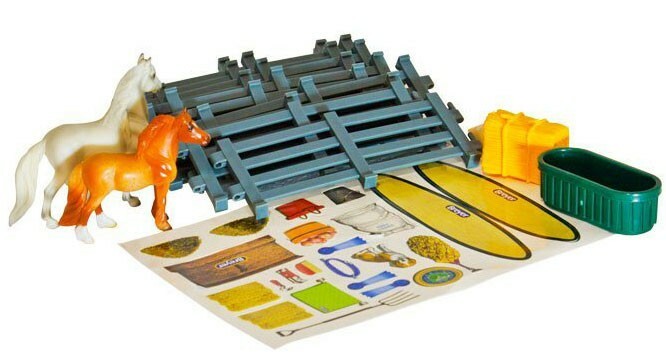 This Educational Toys Planet's deluxe horse barn set includes 12 pieces of fencing, feed bag, water trough, hay bale, and a sheet of stickers to decorate the play stable. 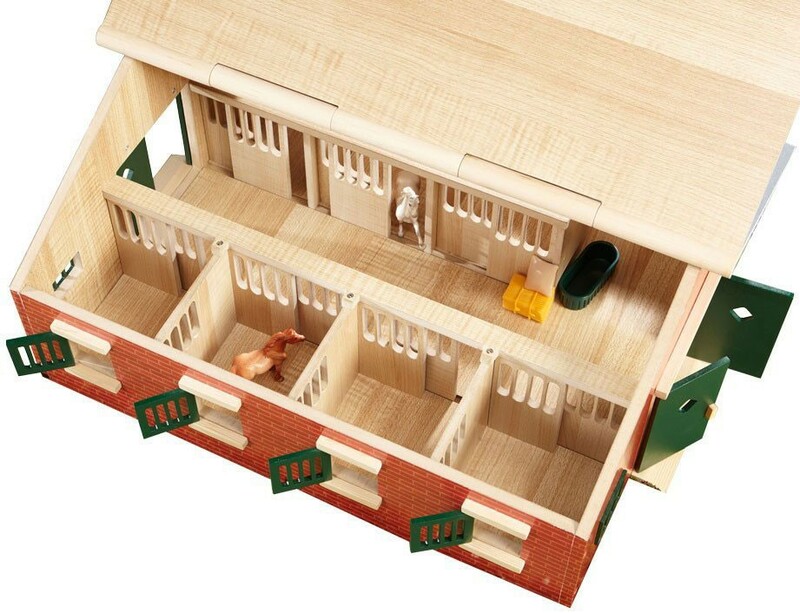 Follow the enclosed instructions, assemble this realistic horse stable and a corral to play horses for hours. 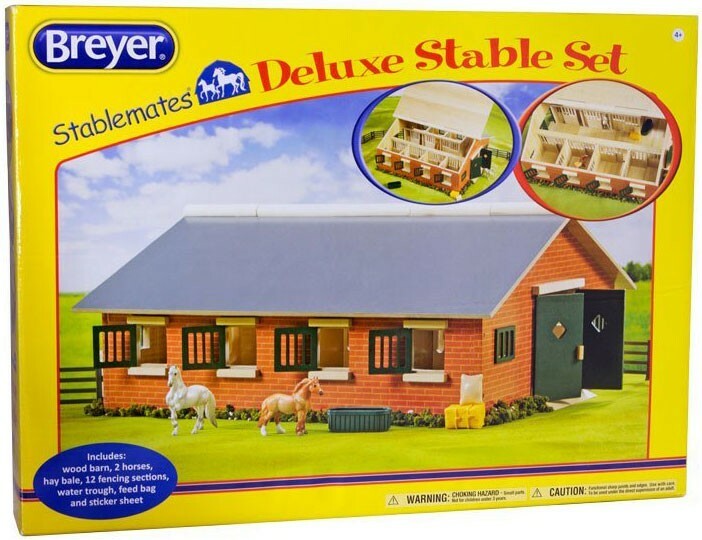 Assembled deluxe stable house is 28 x 16.3 x 8.6 inches. 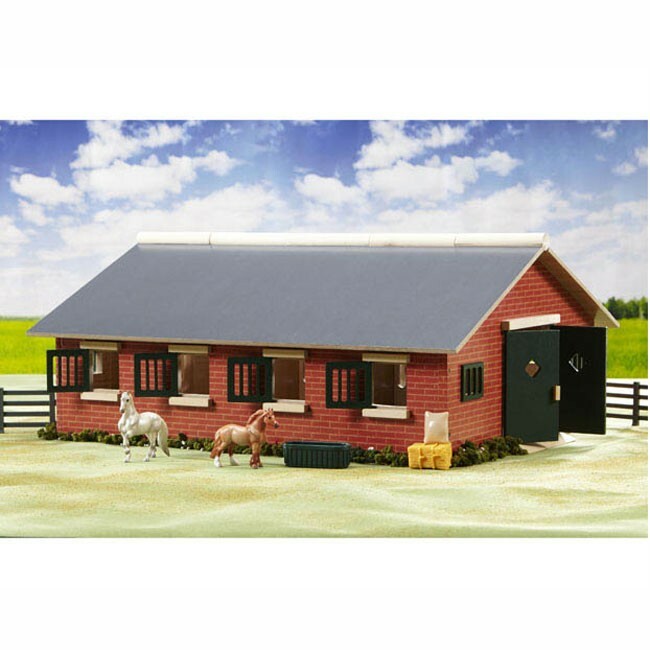 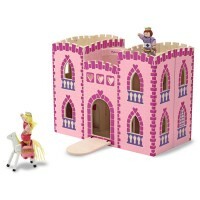 This Stablemates deluxe horse farm set is dream gift for girls and boys who love horses. 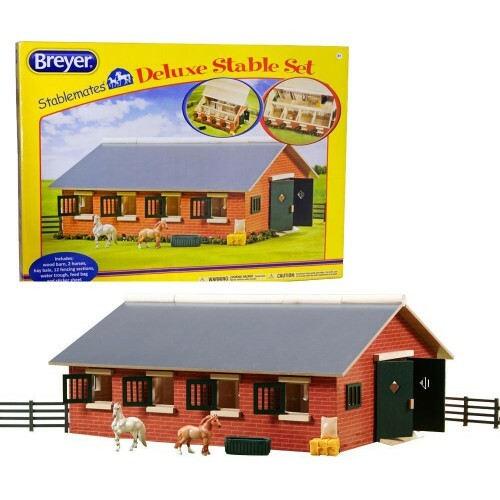 Dimensions of package 4" x 21.75" x 16"
Write your own review of Deluxe Wooden Stable with 2 Stablemates Horses Playset.